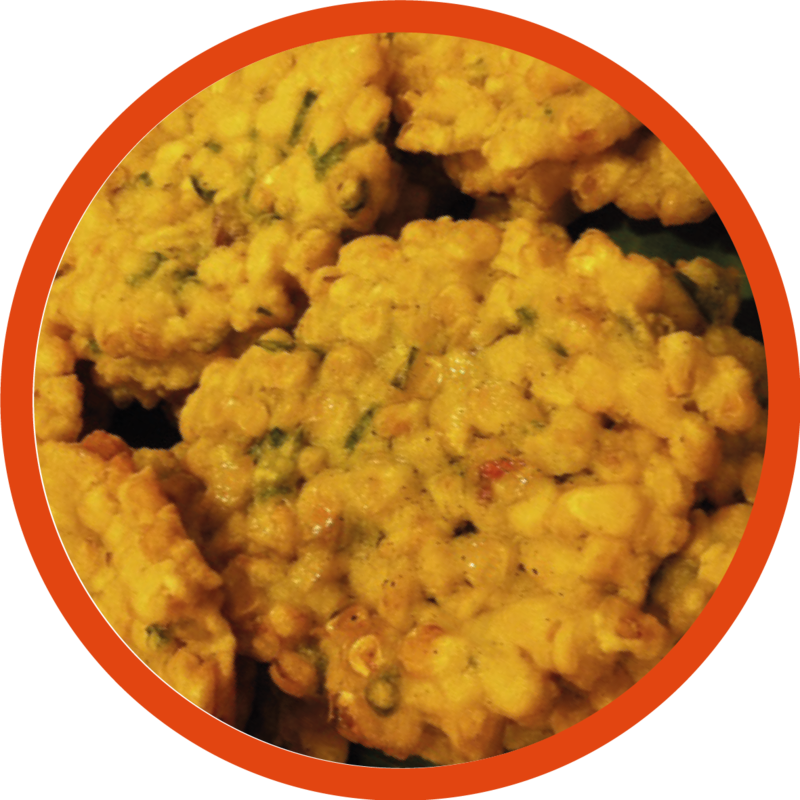 A delicious Thai snack recipe of sweet corn cakes – crunchy on the outside and spicy inside. In a bowl, whisk egg and combine corn kernels, shallots, curry paste, fish sauce, red chilli, rice flour and coriander leaves. Shape the mixture into small patties. If the mixture is too smooth add rice flour to thicken. Heat oil in a heavy-bottomed non-stick pan and fry the corn cakes until crisp and golden brown on each side. Transfer to a plate and cover with foil to keep warm until all cakes are fried. To prepare Avocado sauce, slice the avocado in half and remove the pit. Scoop the flesh into a food processor and add yogurt, lime juice and a big pinch of salt and pepper. Blend until smooth. Serve corn cakes with Avocado sauce.